prudsys AG uses its dynamic pricing solution to demonstrate how artificial intelligence (AI) can help save food. 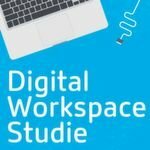 The company, a member of the GK Software Group, is being honored with a Gold German Stevie Award in the category “Most Innovative Company of the Year - Up to 100 Employees” for its intelligent markdown pricing. Supermarkets are faced with the huge challenge of selling off their products before the expiry date while getting those products to customers with maximum possible profit. To master this balancing act, the prudsys Realtime Decisioning Engine (prudsys RDE) suggests a fresh product sell-off strategy for retailers. Based on historical and current demand behavior as well as the inventory on hand, the AI-based pricing software calculates the exact sell-by date for each product. If the prediction varies too greatly from the scheduled target date (the best before date, for example), the price is adapted in real time. “What that means for both customers and retailers is that products are available at any time at the best possible price and ultimately less food has to be destroyed - a win-win situation”, says Jens Scholz, CEO of prudsys AG. Dynamic pricing can be used in both bricks and mortar retail as well as in eCommerce. In addition to the time-sensitive food segment, retailers also benefit from markdown pricing when it comes to seasonal items such as in the fashion industry or products with short innovation cycles such as consumer electronics. Founded in 2002, the Stevie Awards are among the world’s leading business awards. The German Stevie Awards have been explicitly honoring German companies for outstanding accomplishments since 2015. A jury made up of senior German executives awards the prizes every year in more than 80 categories, including product of the year, start-up of the year and best manager. 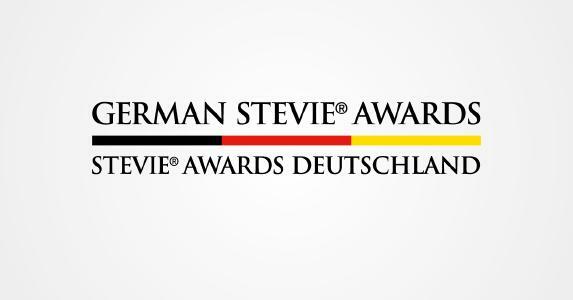 The official awards ceremony for the German Stevie Awards takes place on 3 May 2019 at the Hotel Vier Jahreszeiten Kempinski in Munich. The event will be streamed live and available on the Stevie Awards YouTube channel. For more information about prudsys dynamic pricing please visit https://prudsys.de/en/price-optimization/. prudsys AG is the leading provider of agile AI technologies for omnichannel retail. The prudsys Realtime Decisioning Engine (prudsys RDE for short) automates personalization and pricing processes across the entire value chain. This allows retailers to offer customers a seamless shopping experience of the utmost personal relevance at every sales channel while simultaneously maximizing customer loyalty and earnings. prudsys AG has been on the market since 1998. As a pioneer in the fields of real-time personalization and automated pricing, the Chemnitz-based company has been actively working to shape the development of omnichannel business from the start. prudsys AG customers include companies such as babywalz, bonprix, C&A, Coop, Douglas, Klingel, Obi, Sanicare, Thalia and Würth. prudsys AG is considered a best-of-breed provider. Its in-house research department works tirelessly to further develop intelligent algorithms and test innovative methods for omnichannel business. The company is the holder of numerous patents and places great importance on cooperation with renowned scientific institutions. prudsys AG has hosted the DATA MINING CUP since 2000. Every year, over one hundred universities and thousands of students take part in the internationally renowned competition for intelligent data analytics and forecasting. prudsys AG has thus been successfully bridging the gap between theory and practice. prudsys AG is part of the GK Software Group, one of the world’s leading providers of complete store solutions.